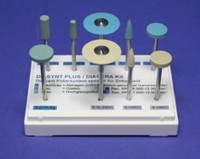 For more than 20 years al dente Dentalprodukte GmbH has been producing high-quality consumables in the Southern German town of Horgenzell near Ravensburg focussed on dental waxes and products for the polymerisation and thermoforming technology. al dente is closely working with leading dental technicians worldwide in the continuous development of its products. al dente sells its products in more than 60 countries worldwide. The ERNST HINRICHS Dental group with 2 North German production sites is one of the leading suppliers of dental gypsum, duplicating materials, investments as well as abrasive materials in Europe. For more than 10 years the group has successfully established itself with a growing portfolio of CAD-CAM systems and digital consumables on the dental market. 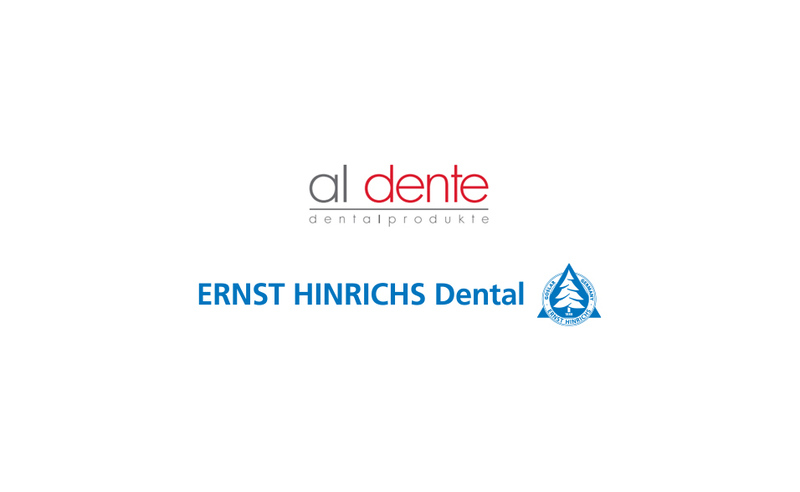 al dente has been cooperating with ERNST HINRICHS Dental GmbH for many years in sales and at joint exhibitions in Germany and abroad. Due to the complementary product groups, many common dealer structures could be established and expanded. This symbiosis of partnership and the highest level of professionalism, according to managing director Christoph Vitzthum, is now to be strengthened throughout the dental market. With Christian and Markus Rehse, managing directors of ERNST HINRICHS Dental GmbH, the integration of al dente Dentalprodukte GmbH into this group as another 100% subsidiary on 01.01.2019 was therefore agreed upon. al dente Dentalprodukte GmbH will continue to be an independent company and brand. Joint synergies in purchasing and production will strengthen the group of companies for future market requirements. 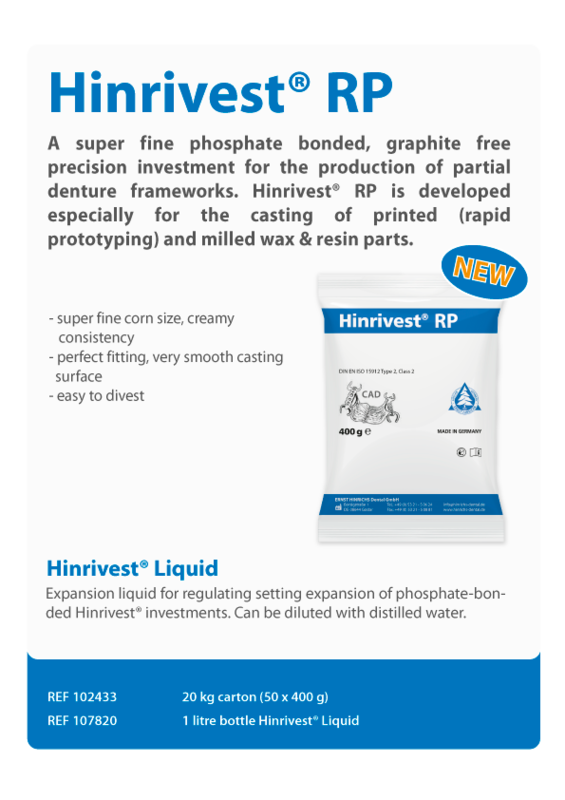 A super fine phosphate bonded, graphite free precision investment for the production of partial denture frameworks. 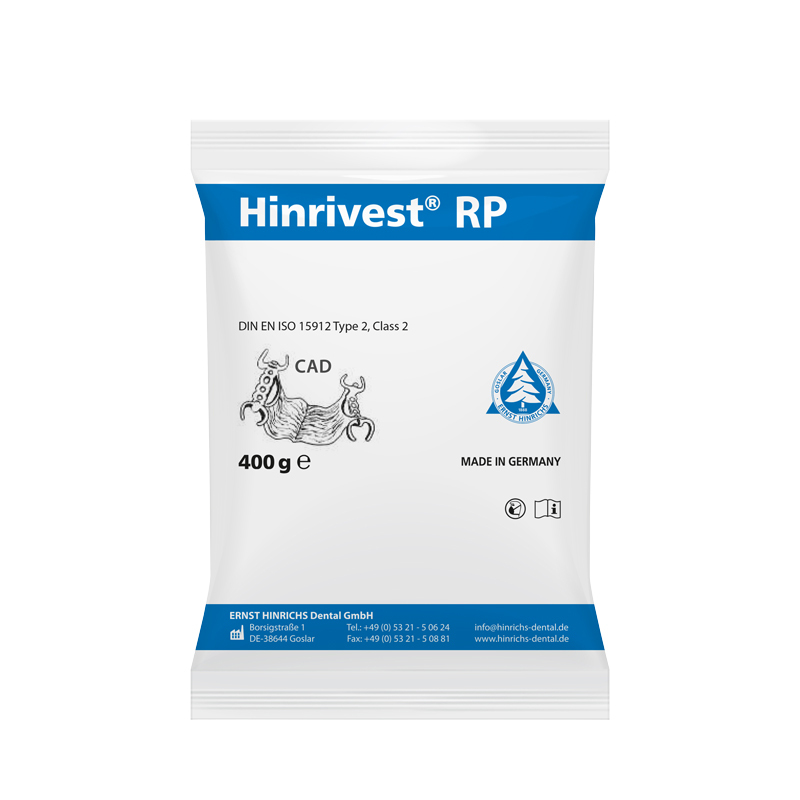 Hinrivest® RP is developed especially for the casting of printed (rapid prototyping) and milled wax & resin parts. 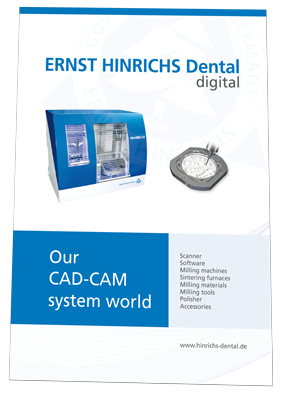 Please find enclosed our new CAD-CAM catalogue with all equipments, consumable products and accessories you can buy from ERNST HINRICHS. 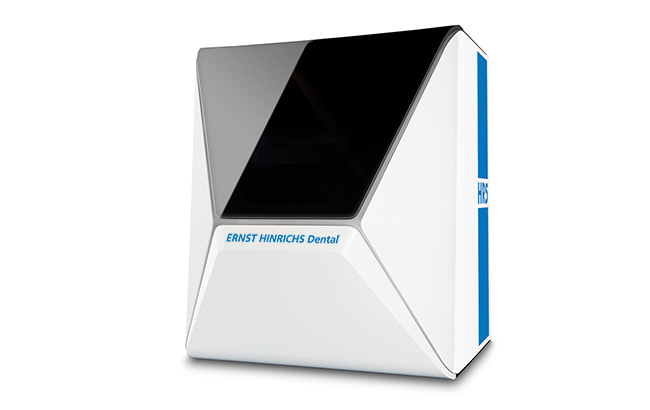 With the new high-end HinriMill R5 dental lab machine, ERNST HINRICHS Dental GmbH offers a highly automated milling and grinding machine with a tenfold blank changer for both wet and dry machining, bringing revolutionary approaches to the lab. It combines utmost precision with maximum stability regardless of material – all with a minimal footprint. 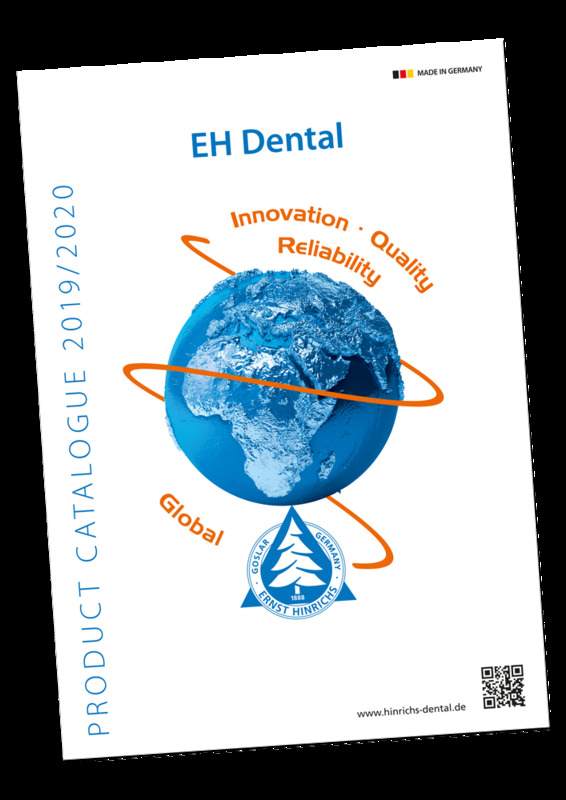 Our new product catalogue 2019 is now available for download or as a flip book.